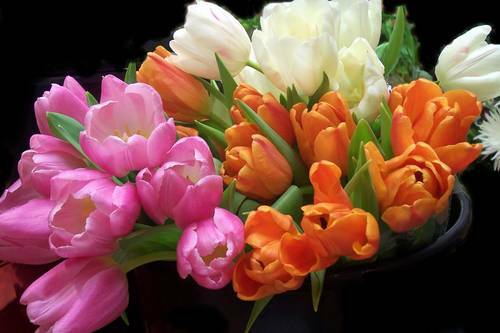 What a beautiful photograph of colorful tulips. Nice composition. A beautiful photo. The dark background really makes the tulips stand out. Jessica - the colors here are stunning. You keep improving in your work by the minute - congratulations - you have a terrific eye for composition, color and texture. As usual, stunning colors. A beautiful picture.